The white ibis is a wading bird that frequents salt marshes, beaches, and shorelines of the southern Chesapeake Bay. 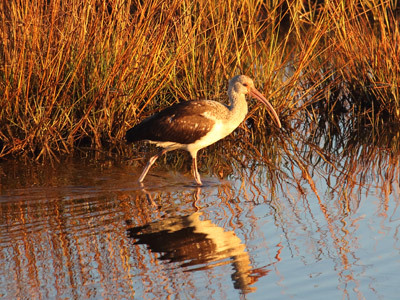 Once rare in the estuary, white ibis sightings have increased in recent decades. White ibises are sometimes found together with herons, egrets, and other shorebirds.